Mantels can add the perfect finishing touch to any fireplace, and in many cases can be an easy addition or upgrade to complete the perfect hearth. A new fireplace surround and mantel can help to bring an old fireplace up to date and completely change the look of the entire room without a major remodel. 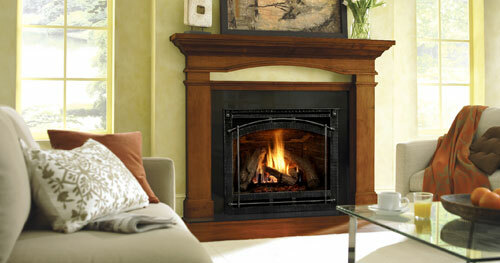 Bringing together gas logs, glass door and a new mantel can revamp a tired old fireplace in one easy project.